In 8 weeks from a piece of wasteland to this! 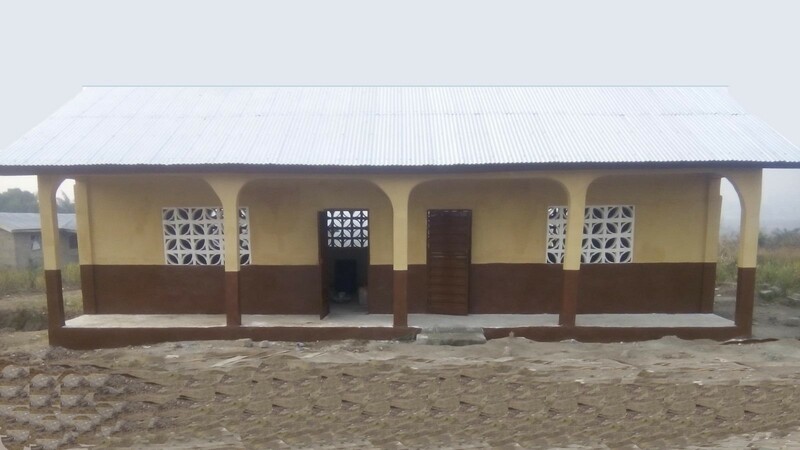 Today it is the new 2 classroom block of the new Good News Pentecostal Community School, Waterloo, Freetown, Sierra Leone. All the desk & bench sets will be made on site and the blackboards fitted very soon. Alan would like to express his sincere personal thanks, on behalf of the children, teachers and community in general for your fantastic support. You have “made a real difference” to this small impoverished rural community.